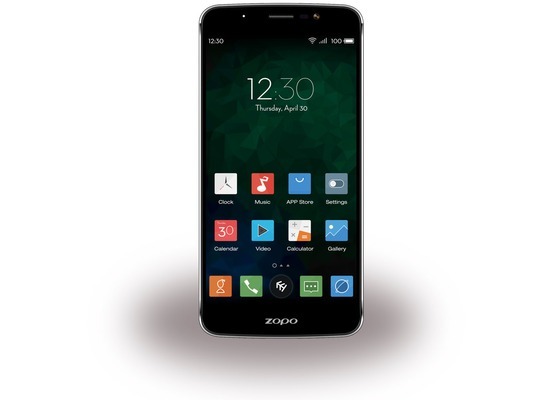 Speed 7 is equipped with a 5.0-inch frameless screen that can display superior visual effects. Enjoy the beauty that technology brings. 1080P, more vivid than you can imagine. 3GB of memory allows Speed 7 to handle multiple complicated tasks at the same time. With a 64-bit octa-core CPU, performance is improved significantly compared with a 32-bit CPU. Android 5.1 OS with Z-UI brings a simple, yet powerful user interface experience. On-screen buttons can effectively prevent input error. Android 5.1 utilizes a power-saving mode, many bug fixes and improved face recognition technology. A whopping 13.2MP rear camera captures every precious moment in stunning detail, cherishing the beautiful things around you and then sharing them with your friends. Face Beauty 4.0 works passively to make your selfies more beautiful, through lightening/darkening and more that all happen behind the scenes to make you look your best. Say goodbye to waiting! Say hello to the fastest 4G LTE! Streaming video and audio, browsing the news or just downloading, all are blazing fast thanks to 4G LTE. Plus, you can use two SIM cards on one phone. Speed 7 comes equipped with a li-polymer battery, super power-saving chip, professional power management IC and a more energy-efficient CPU. This leads to a longer endurance time and a safer and more reliable experience. Connect in real-time to GPS and Russia's GLONASS. Wherever you go, it can accurately read your current location. Never be lost again. Speed 7 comes with a brushed metal-like finished back cover made through nano injection molding and spray coating technology. The mid-frame comprises of a glossy silver dual track. Symmetrical design, slim and stylish. Drawing different letters on the screen can open different apps. With the screen off, double-tap the screen to wake, draw a "C"to open the camera. Just waving your hands allows you to view the next and previous pictures, there's no need to touch the screen anymore! (Bitte 50 oder mehr Zeichen schreiben) Bitte bewerten Sie ausschließlich das Produkt Zopo Speed 7 - Dual Sim - 5.0 Zoll, Schwarz.